Cut wings, as they are sometimes called, are manually or mechanically cut and shaped from different materials to imitate the wings of insects. They can be selected from the flank feathers of waterfowl and other types of birds or from synthetic products. They can also be shaped by hand with scissors, fingernail clippers or other sharp instruments. Another option is a mechanical wing cutter, but it is cumbersome to use and the resulting shapes can be inconsistent. A good example of this is the Herter's model which consists of a removable plate with teeth that could separate a feather into wing sections. The pinched sections had to be cemented before they were used, but even so, they were not perfectly shaped. 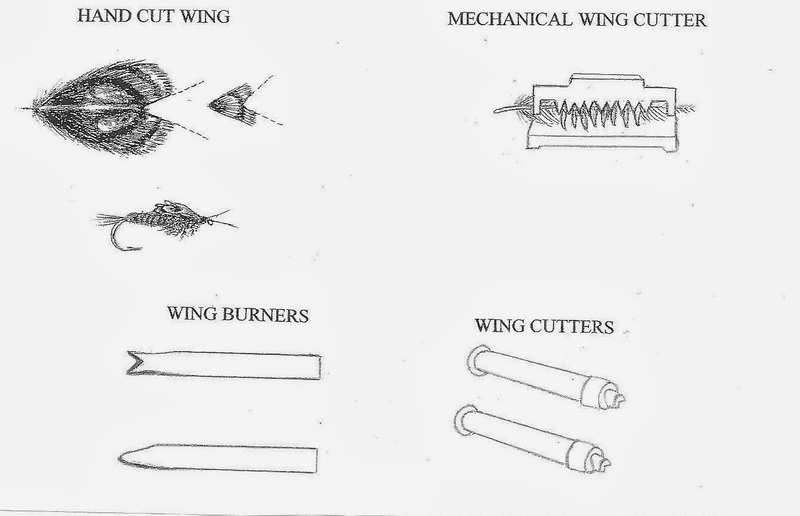 Wing burners and wing cutters are manufactured in various shapes and hook sizes. 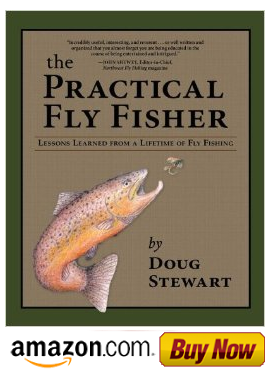 They can be used to shape wings for a variety of insects including nymphs, caddis, midges, hoppers, spent wings and adult stoneflies. They have the capability to burn or cut wings from feathers, latex, fabrics and other materials. These tools are very effective, but many tiers feel that they have better results using their hands. Four methods are pictured below.